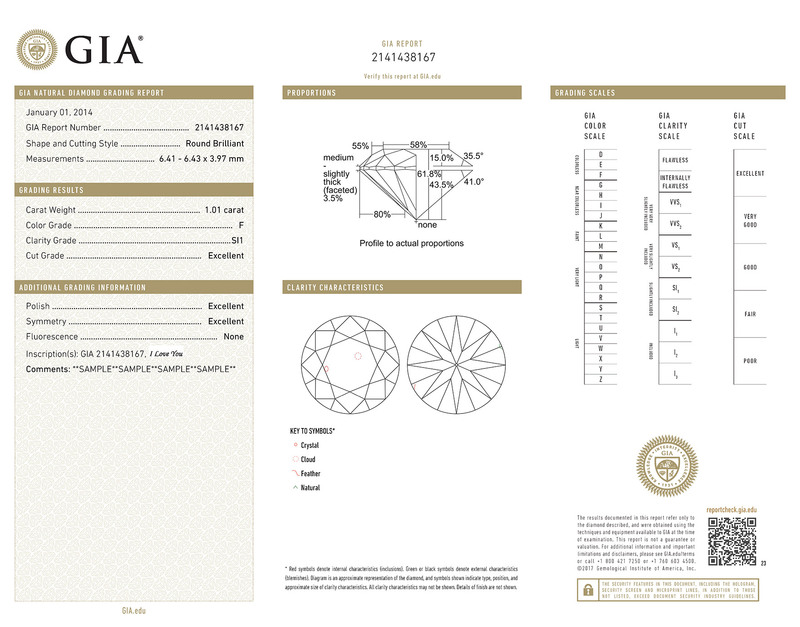 GIA Diamond Reports offer thorough, unbiased analysis in an easy-to-understand format. 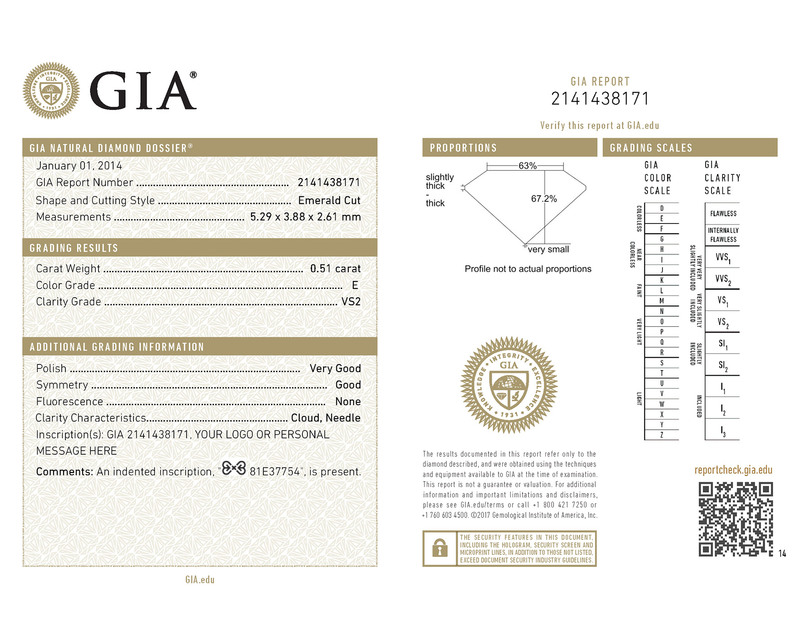 The GIA Diamond Dossier® includes an assessment of the 4Cs – Color, Clarity, Cut, and Carat Weight – plus a microscopic laser inscription of the GIA report number for easy identification. For loose, D-to-Z color diamonds only, weighing 0.15 - 1.99 carats.